The Chicago Police Department’s lack of transparency surrounding its gang database puts a “strain (on) police-community relations” in predominantly black and Latinx neighborhoods, while the department itself “lacks sufficient controls” for generating, maintaining and sharing gang-related data, according to a blistering report from the city’s internal watchdog. Chicago Inspector General Joe Ferguson on Thursday released his office’s audit of the CPD’s gang database, which he found to be filled with outdated, unreliable and incorrect information on thousands of individuals who have often been listed as gang members with little or no reasoning. “I think collectively what you’re going to see is a fairly thorough going critique of past practices, the extraordinary harm and impact (the gang database) has on individuals and community and a lot of recommendations that are going to need more discussion in the public domain,” Ferguson told Carol Marin on “Chicago Tonight” Wednesday, prior to the report’s release. 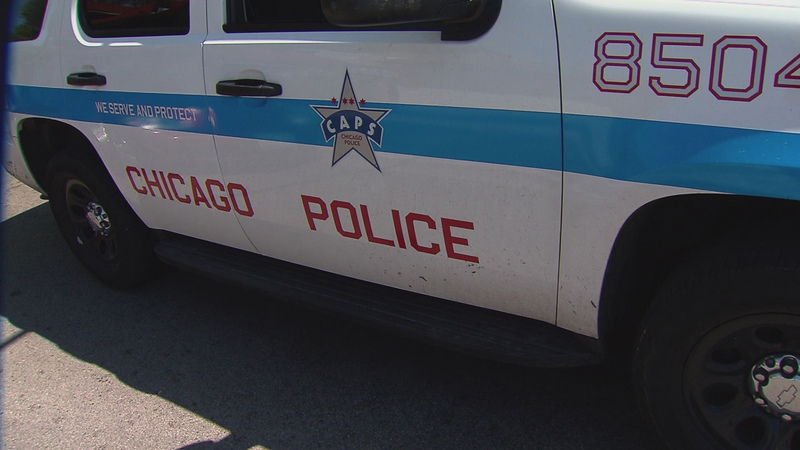 The report states the CPD shares its gang information with over 500 other agencies, including education, immigration and criminal justice agencies. In compiling the report, Ferguson and his office analyzed how the police department classifies individuals as gang-involved by reviewing arrest report data, interviewing law enforcement officials across multiple agencies, observing gang-related officer training and receiving input from the community via public forums. These cards are filled out by officers during the arrest of someone they believe is a member of a gang. But the OIG found the information they contained was often unreliable and they tended to focus in on specific minorities and communities. More than 134,000 people have been identified as gang members over the past 20 years on more than 520,000 of these cards, according to Ferguson. Of those people, 95% are black or Latinx and 91% are male. Thirteen specific neighborhoods located on the South and West Sides of the city account for more than 50% of the total gang arrest cards produced. One person who was first labeled as a gang member when they were 9 years old carried that designation for 19 years, according to the report. Another person was 75 when they were first listed in the database. Click to watch: Chicago Inspector General Joe Ferguson appears on “Chicago Tonight” on April 10, 2019. The report also zeroed in on quality concerns regarding the gang arrest cards, which the police department cannot confirm are accurate and up-to-date. During her campaign, Mayor-elect Lori Lightfoot also pledged to audit and overhaul the gang database, replacing it with clear guidelines that allow individuals to petition for removal from it. Ferguson’s report includes 30 recommendations, such as: requiring evidentiary support for all gang designations; notifying people that they have been entered into the gang database; developing ways to eliminate inaccurate or outdated information; and providing regular updates to the public regarding data collection, storage and sharing. The inspector general says the CPD has “concurred” with the report’s findings and has “committed to the creation of a new unified system that addresses several of the data control issues identified.” No timetable for that new system has been provided. Additionally, the inspector general states the department’s response has “substantially diverged” from the report’s recommendations involving community collaboration and additional protections for juveniles. The police department on Thursday released a draft policy for that new system, which it says will address the majority of Ferguson’s concerns. CPD spokesman Anthony Guglielmi said the department has been working to update its gang database for two years. Among the proposed upgrades are revamped entry criteria, an appeals process and new ways to vet internal information. And for those whose names are entered into the database, Guglielmi says the department will “generally” only keep that information for a five-year period under this proposal. But after seeing the report, Community activists and legal experts took to City Hall Thursday to express their outrage at the idea of a new gang database, saying for years it’s been used to target and harass black and brown communities. Evan Garcia contributed to this report.